The Help to Buy London scheme was set up in February 2016 and is available for all London Boroughs. It is aimed at first-time buyers to purchase new build properties with an equity loan of up to 40% for London. You will need a minimum of 5% and the remaining 55% is provided by a mortgage lender. This equity loan is then re-payable to the government when you sell the property. The HTB Equity Loan scheme is available for new build properties with a purchase price of up to £600,000. Similar to the HTB London scheme, the government will lend you up to 20% of the cost of a new build home. You will need a 5% cash deposit and and the balance will be a 75% mortgage. For the first 5 years the loan is interest free [there is £1 per month charge applicable]. From year 6 there is an interest fee of 1.75% payable on the equity loan and this will rise annually with the Retail Price Index [RPI] plus 1%. Who is eligible for HTB Equity Loan and HTB London? Either scheme is available if you’re a first-time buyer or a homeowner who wants to sell up and move, and you want to buy a brand new home with a purchase price of up to £600,000. If you own any other property, including a second home or any rental properties you will not qualify for the scheme. 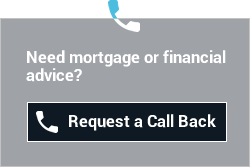 To discuss your HTB purchase in more detail please contact one of our advisors. We can run you through the whole process in more detail and provide you with specific figures relating to your particular purchase. * The Financial Conduct Authority does not regulate some forms of buy to let, secured loans, commercial finance, bridging finance, overseas or offshore mortgages and will writing. Your initial mortgage consultation is obligation free. We charge an administration fee for processing each mortgage contract and our fees only apply when you decide to proceed with an application. For standard residential mortgage contracts the typical fee of up to 1% of the mortgage loan applies of which £500 is payable on application with the balance payable on offer . For buy-to-let mortgages a typical fee of up to 1% of the mortgage loan applies of which £500 is payable on application with the balance payable on offer. For offshore and commercial mortgages a typical fee of 1% of the mortgage loan applies of which £1000 is payable on application with the balance payable on offer. For impaired credit lending the typical fee is 1% of the mortgage loan applies of which £500 is payable on application with the balance payable on offer. The overall cost for comparison is 5.5% APR. The actual rate will depend on your circumstances. Ask for a personalised illustration. The advice and/or guidance contained within this website is subject to UK regulatory regime and therefore is restricted to consumers based in the UK.